Wileyfox, a UK-based smartphone manufacturer has launched the Wileyfox Swift 2 Plus, a variant of the Wileyfox Swift 2 which was also launched on the same day. The Wileyfox Swift 2 Plus has almost the same specifications as the Swift 2, with some differences in the processor memory / storage, weight and camera quality. The Wileyfox Swift 2 Plus comes with a 5-inch IPS display which is protected with Corning Gorilla Glass and has an HD (1280 * 720) pixel resolution. It weighs 155 grammes and has a thickness of 8.6 mm. The Swift 2 Plus is powered by a 64-bit Octa-core Snapdragon 430 processor with Cortex A53 cores and an upper clock speed of 1.5 GHz. Graphics operations on the phone are handled by an Adreno 505 GPU, similar to the Swift 2. Instead of the 2GB RAM and 16GB internal memory on the Swift 2, the Wileyfox Swift 2 Plus comes with 3GB of RAM and 32GB of internal memory which can be expanded with a microSD card up to 64GB. However, you would have to choose between using a second Nano SIM card or a microSD card for expansion since the Swift 2 Plus comes with a Hybrid SIM slot. The Swift 2 Plus possesses a USB Type-C port which gives it USB OTG support and allows you to share the battery juice supplied by its 2700mAh battery with other smartphones, as well as ensuring faster and easier sharing of data. You might think 2700mAh is small for a 5-inch smartphone, but the smartphone has version 3.0 of Qualcomm’s Quick Charge feature which allows you to charge the phone up to 75% in just 30 minutes. At the rear of the smartphone, is a 16MP PDAF camera with a Samsung 3L8 ISOCELL sensor, dual LED flash and 1080p video recording, while the front of the phone is occupied with an 8MP selfie camera. The Swift 2 Plus supports 4G LTE network bands, thereby allowing you to connect faster to the internet. While most OEMs are sticking with pure Android or designing custom operating systems of their own based on Android, Wileyfox has decided to use the Cyanogen OS which is packed with a lot of features and allows a lot of customizations on the Swift 2 Plus. The Wileyfox Swift 2 Plus runs on Cyanogen OS 13.1 which is based on Android 6.0.1 Marshmallow. OS: Android 6.0.1 Marshmallow with Cyanogen OS 13.1. Dimensions: 143.7 * 71.9 * 8.6mm. Display: 5-inch, 1280 * 720 pixels HD, IPS Capacitive touchscreen, 2.5D Corning Gorilla Glass protection. Build: Aviation-grade aluminium metal back with plastic bezels. Colours: Gold, Rose & Midnight. Number of Processor Cores: Octa-core 0 ( 4 x 1.2 GHz Cortex A53 + 4 x 1.5 GHz Cortex A53). Rear: 16 MP, Samsung 3L8 ISOCELL sensor, f/2.0 aperture, PDAF. LED Flash: Dual LED flash. Charging: Fast Charge – Yes, Qualcomm Quick Charge 3.0. Launch Date: November 8, 2016. The Wileyfox Swift 2 Plus comes in Gold, Rose and Midnight colour versions like the Swift 2. 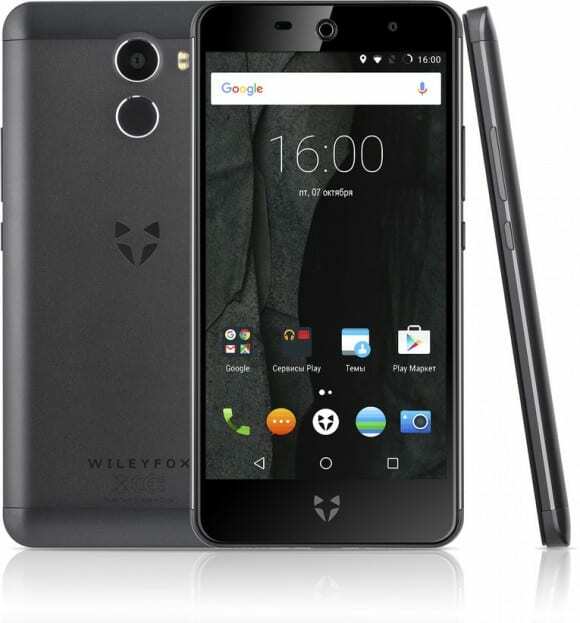 It costs 189 pounds in the UK and is available on the official Wileyfox website.